The FDA in cooperation with state authorities has identified a Colton, California subsidiary of McCain Foods, based in Ontario Canada, as the source of frozen corn apparently contaminated with both Salmonella and Listeria. 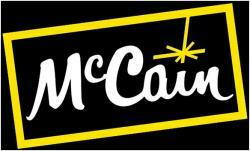 McCain Foods established in 1957 in the Province of New Brunswick is now a multinational with eight plants in Canada, 11 in the U.S., 21 in the E.U. and facilities in China, India, South Africa and Australia. On October 18th, HyVee recalled salads served in their stores. Prepared foods and salads containing corn and possibly other ingredients including onions supplied by McCain Foods have been implicated in a chain of contamination which has resulted in the recall of close to 2,000 tons of prepared products including burritos, wraps and salads. Recalls extend from Caito Foods in Indianapolis, IN (two tons) to RUN of Dennison Texas recalling 1,200 tons. National brands are involved including Whole Foods 365, 7-Eleven and Jenny Craig. Fortunately, there are no reports of illness and the recalls were initiated as a result of routine surveillance. The extent of food recalls which extend from the Midwest to California attest to the potential impact of one supplier providing a contaminated product. Neither Salmonella nor Listeria are usually associated with frozen corn, but the incident illustrates the need for continual surveillance of both the environment of plants and products. The case involving numerous food processors illustrates the need for rapid trace forward which can be provided by participation in a blockchain system which permits instant recall of data and verification of source of ingredients at each step in the chain of supply and production.